My mom made a chicken and rice dish that she baked in the oven when I was a kid, and I just did not like it. I have no idea why; I’m sure it was fine, but every time I think of chicken and rice I don’t get the best mental picture. I decided it was high time to change that mentality and make a chicken and rice dish that not only would cure my mental dislike, but also become a simple meal to feed my family. Rice is one of my kids’ very favorite foods. 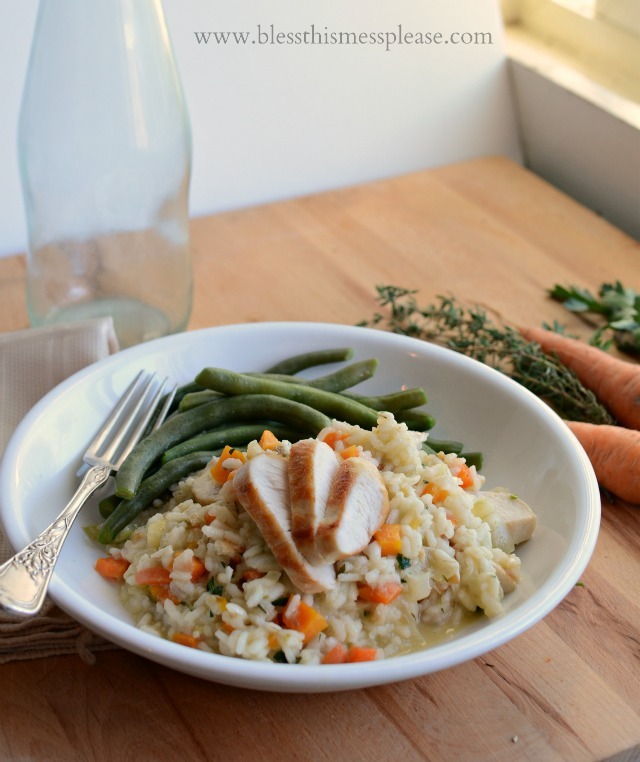 Stove Top Chicken and Rice is a creamy rice dish packed with flavor and a bit of chicken. Rice is the true star of the dish and the chicken is here to add flavor and a bit of protein. I only used one pound of chicken to make this and feed my family of 6 (you can use up to two pounds, but we didn’t feel like we were missing anything). This dish cooks up a bit like a casserole with everything mixed together. I like that for a few reasons. One is that everything tastes great, so the kids don’t mind if they are eating carrots because they taste just like the rice. Second, it’s very economical to make when you use rice for the bulk of dish instead of chicken. Plus, it’s all cooked in one pot, and it’s done in about 30 minutes. This is a great weeknight meal! I have a few tricks up my sleeve too that you should take note of. Instead of chopping the chicken raw and letting it cook with the onions and carrots, I seared it to a golden brown in the bottom of the hot pan first. Cooking the chicken just until it’s done (8-10 minutes) instead of cooking it the whole time the rice is cooking creates a more tender and moist piece of meat. I also added a few secret touches like a small diced apple and RiceSelect Arborio Blend™ with Mushrooms. America’s Test Kitchen is always adding dried mushrooms to dishes to give them a more complex and meatier flavor, but I have such a hard time finding any kind of packaged dried mushroom. Trust me, I’ve looked and looked, even on our bigger trips to the city for shopping. When I had the chance to cook rice with the dried mushrooms already mixed in, I got super excited. Trust me on this one, even if you don’t like mushrooms, you’ll love this rice. You won’t even know they are in there, but they give it a great, complex flavor. Take a good look at the picture. You can’t even see the mushrooms when they are cooked with everything else. I shared more details on the type of rice later in the post, so keep reading, it’s pretty interesting stuff! Heat a large cast-iron dutch oven or skillet over high heat. Add the olive oil, and heat until the oil is shimmering. Carefully add the chicken to the hot pan and let it cook on one side without turning until deep golden brown on the bottom, about 5 minutes. Flip the chicken over and cook on the second side for another 5-6 minutes until the chicken is golden brown and cooked through. Remove the chicken from the pan and set it on a plate. Set aside. Reduce the heat to medium and add the onions, carrots, and apple to the same pan that you just took the chicken out of. Cook, stirring often, until the onions are translucent, about 5 minutes. Add the garlic and rice, and cook for 2 minutes. Add the chicken broth, oregano, and half the parsley and cook, stirring occasionally, until the rice is cooked through, 18 to 20 minutes. Remove from the heat and let the mixture rest for 5 minutes. While the rice is resting, slice the chicken against the grain. After the 5 minutes are up, add the chicken, the rest of the parsley, and salt and pepper to taste. Stir to combine and serve hot. Don’t be leery of the dried mushrooms in the rice if you don’t like mushrooms. They give the dish a complex flavor, but I promise you’ll never know they are in there. Once everything is cooked together you can’t even see them. The same goes with the apple. It might sound a little odd here, but it just adds a nice, subtle sweetness that goes perfectly with everything else. If you haven’t noticed, I’m not super fancy when it comes to ingredients. I like normal things that I can grow myself or buy in my little local store (my in-laws own the store, so I’m extra committed to shopping local). In my mind rice comes in three types: brown, white, and instant. The last should be avoided at all cost, and the first was my normal go-to. When I got to reading about RiceSelect I got excited. I had used their long grain and wild rice blend before, but I had no idea what Arborio rice was. Here’s a simple explanation. 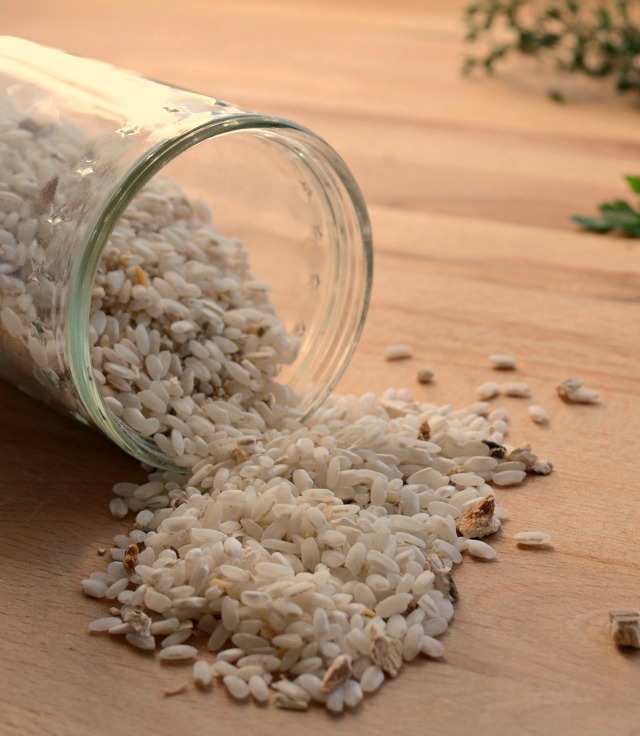 “Arborio rice is a bold grain that has a characteristic white dot at the center of the grain. Primarily used in risotto and rice pudding, this rice develops a creamy texture around a slightly chewy center and has an exceptional ability to absorb flavors.” Neat huh! 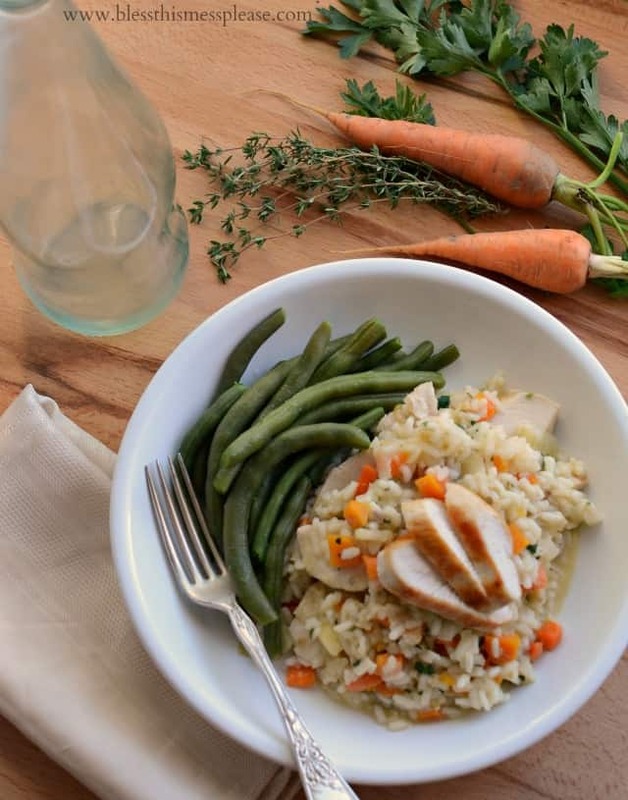 It is also an excellent candidate for creamy and flavorful stove top chicken and rice. The texture was awesome and my kids loved it. I liked that it was extra creamy too because it was easy for them to spoon into their mouths and didn’t fall all over the kitchen like other rice does. Yay for more in their tummies and less on the floor! Here was the last point that I liked about this company: All RiceSelect products are grown, milled, and packaged in the USA and are produced from non-GMO proprietary seed. And even with the mushrooms, the mix is still gluten-free! This dish is naturally gluten-free, which is nice to know in case you have friends or family who eat gluten-free. So there you have one tasty dish that I’m positive your whole family will love and a new product to try! The RiceSelect brand comes in nice (BPA-Free) plastic containers with a screw-on lid. That should help you find them in the rice section at your store. My organizing heart is pretty excited to empty out that container to save and use, it’s a lovely size! You can also visit the RiceSelect Rethink Rice campaign site for a chance to win a free Aroma 6-cup rice cooker, and use #RethinkRice #sweeps to show your recipe creation for a chance to win a $100 Amazon gift card. Not too shabby! 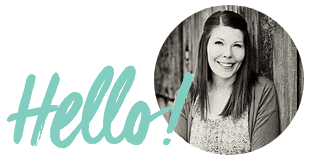 Thanks so much for reading and supporting the blog. I love working with great companies, and your support makes that happen. You are the best. Have a great day. Now it’s your turn: tell me about your favorite rice recipe in the comments below for a chance to win a $100 Amazon gift card! Sweepstakes Rules: No duplicate comments. You may receive (2) total entries by selecting from the following entry methods: 1. Leave a comment in response to the sweepstakes prompt on this post. 2. Tweet (public message) about this promotion; including exactly the following unique term in your tweet message: “#SweepstakesEntry”; and leave the URL to that tweet in a comment on this post. 3. Blog about this promotion, including a disclosure that you are receiving a sweepstakes entry in exchange for writing the blog post, and leave the URL to that post in a comment on this post 4. For those with no Twitter or blog, read the official rules to learn about an alternate form of entry. This giveaway is open to US Residents age 18 or older. Winners will be selected via random draw, and will be notified by e-mail. The notification email will come directly from BlogHer via the [email protected] email address. You will have 72 hours to respond; otherwise a new winner will be selected. The Official Rules are available here. This sweepstakes runs from 10/6/14 – 11/3/14. Be sure to visit the RiceSelect brand page on BlogHer.com where you can read other bloggers’ posts! I’m so glad I read through the entire post 🙂 I usually skip the post if it uses pre-packaged food because it almost always has gluten in it! I’ll definitely give this a try since it’s gluten free, we love rice, and we love arborio rice! Are you cooking this in a cast iron dutch oven? That is awesome if you are! Yes!! I use cast iron in probably 80% of the time when I cook (the other 20% is stainless steel). I’m a cast iron addict 🙂 I love it in all shapes and sizes! My favoritre rice recipe is a homemade mexican rice. It is so yummy with chicken or pork. Have a beautiful day!! I have a favorite fried rice recipe that is my go-to. I think it’s the Top Secret Recipe one by Todd Wilbur from Benihana’s. The secret to the amazing dish is to refrigerate the cooked rice before continuing on with the recipe. YUM! Oh my goodness, you read my mind today! This is exactly the type of recipe that I was looking for to have for dinner tonight. (I was browsing the fridge and pantry and came up with chicken as tonight’s main ingredient not even half an hour ago! Yay! I hope you made it. It’s super tasty! My mother’s arroz con pollo is my favorite rice recipe. My family likes the baked one but we will have to try this one. It looks yummy! My favorite rice recipe is brown rice, with grilled chicken and cheese, and fresh cut broccoli. So yummy. I love creamy chicken and rice with cream of mushroom soup! I love rice! I really love to make an Asian steak stir-fry with asparagus and mushrooms with rice. I love to make an Asian steak stir-fry with asparagus and mushrooms with rice. My favorite is homemade fried rice with chicken, curry and red grapes. That sounds amazing! 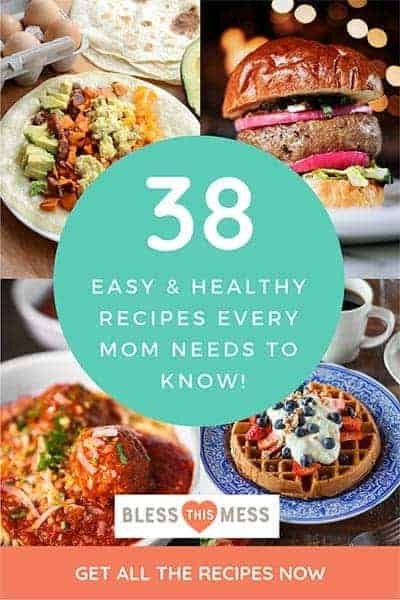 Do you have a recipe?! Recently I made homemade alfredo sauce and mixed it in with brown rice, broccoli, and chicken and baked it casserole style… that was yummy, and the boys ate it really well. Or a lime rice with cilantro to go with some good pulled pork and black beans for a yummy salad or burrito. huh, I’ll have to check this rice out! Your dish looks delicious! My favorite rice recipe…rice pudding. haha, I hate to admit it, but it was a super special treat when I was little and so now it is a huge comfort food for me. That’s fun. I never had rice pudding until after we had kids but we love it. I have a white chocolate rice pudding recipes somewhere way way way back in the archives that is tasty! I like mango and sticky rice — a Thai dessert! My favourite recipe is rice pudding, my mum used to cook it when I was ill… so now I love it ! I love mushroom and chicken risotto. My favorite is rice recipe is Spanish rice with sour cream on the side. My favorite rice dish is probably Seafood Paella. Thank you so much for the chicken & rice recipe and for the opportunity to enter. I know what you mean about America’s Test Kitchen/Cook’s Illustrated always using dried porcinis – which I can’t seem to find where I live. On Amazon I found this porcini powder that’s getting good reviews. It’s a little expensive (though I’m sure it lasts quite a while) plus shipping, but I think I’m going to give it a try soon. Your recipe looks great! We love rice too. Probably my favorite dish is a chicken and rice casserole with a Mexican flare to it. Yum. Mmm! I love all things mushrooms and I’m sure this is awesome. You’ll have to let me know if you get it and like it! i love making rice balls. so cruchy and soft! My favorite rice recipe is Mexican rice. Rice is an important component of one of our favorite meals when I have leftover chicken meat. I soften onions and maybe some garlic in butter and oil, then make a roux, then stir in chicken stock (or preferably the juices from the cooked chicken) and milk. After adding the chicken meat and any leftover cooked veggies I have on hand, I taste it and add seasonings (thyme or tarragon are fabulous), and it’s served over hot rice. So good! My mother makes a wonderful chicken and rice casserole. 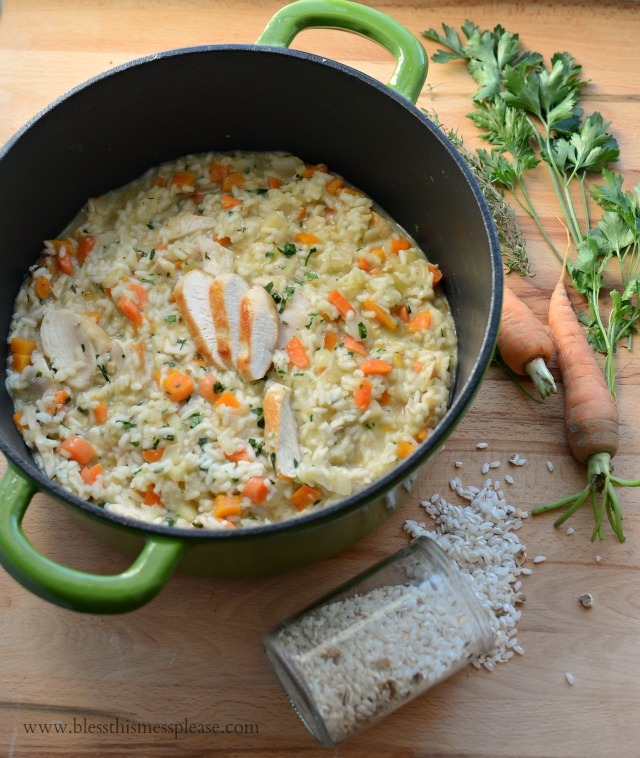 My favorite rice recipe and chicken and wild rice soup! My favorite rice dish of the moment is a baked risotto, with garlic, onion, butter, and Parmesan. I love teriyaki chicken with veggies. that’s my favorite rice dish!!! thank you! I love my chicken broccoli rice casserole! its so good! I love green rice – just add sauteed garlic and whatever fresh, minced, green herbs you have on hand to hot, cooked rice. One of my favorites is Shrimp fried rice. I make it with any vegetables I have left over. My favorite is Shrimp Fried Rice. I make it with any leftover vegetables I have on hand. OH one that we love to make is Spaghetti rice stuffed green peppers! I stuff the peppers with rice, hamburger, spaghetti sauce, and mozzarella cheese! One of our families favorites! That sounds super good! I’ll have to try that! 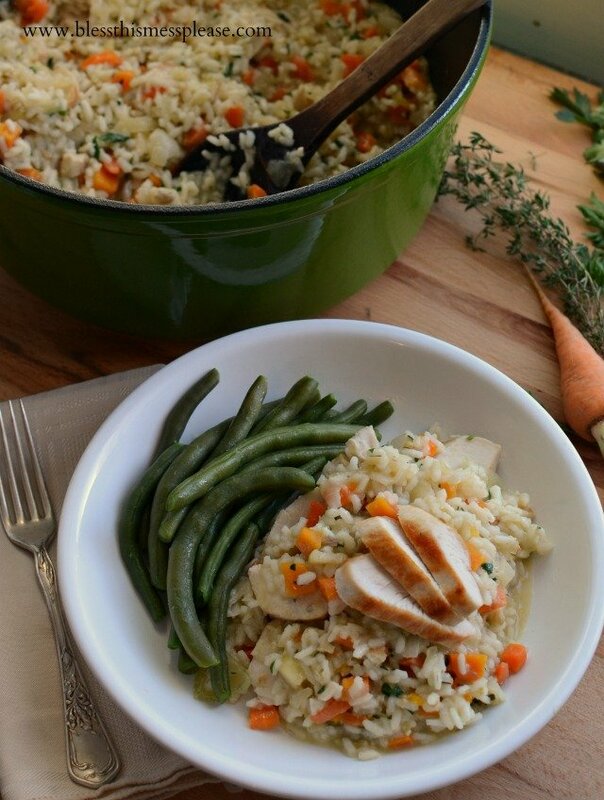 I have a similar chicken and rice casserole that I love to make – that’s my favorite! Beef tips and rice is easy to make for me. A favorite rice recipe of mine is stuffed green papers with rice. My favorite rice dish is fried rice. I love being able to use the leftover chicken or pork to add flavor and protein. My favorite rice recipe is stir fry. I like using leftovers from the fridge and adding rice to make a new dish. I love to cook rice in bee bullion water. Then ad cooked hamburger, corn and green beans to it. Probably… use the amount of water that your rice calls for on the back. For brown rice though it will probably be pretty close to this! You’ll love it V-ron! Yay I finally made it! I love super easy meals like this (especially when I get to use leftover turkey even!) and it was delicious- I was surprised I couldn’t even taste the apple. I’m definitely going to have to hunt for this rice now with the mushrooms, even though I don’t like them, I trust you!